Paying for dental care and orthodontic treatment can be expensive, but dental insurance plan can offset the cost tremendously. This is especially true if you have supplemental dental insurance. In addition to regular dental coverage from an insurance company—that usually leaves you with a gap in coverage and requires you to pay a portion of your dental work—supplemental insurance can provide even more financial support for your dental plan. Like supplemental health insurance how does supplemental dental insurance work? 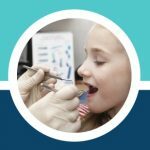 Who Should Get Supplemental Dental Insurance? First of all, let’s take a look at who benefits from supplemental dental insurance coverage. In a nutshell, anyone can benefit from supplemental coverage. Chances are you will have some of your dental expenses come out of pocket and, even if you can afford it, it’s nice to have the supplemental coverage. After all, nobody wants a bill for a few hundred dollars after dental treatment, right? Plus it’s almost impossible these days to find a dentist who takes payments. 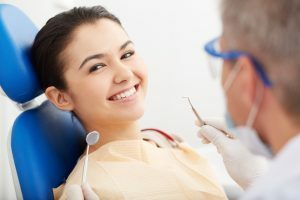 Despite it being beneficial for anyone to have a dental insurance policy along with supplemental coverage, it is best suited for people in certain circumstances for their dental service and any required dental work. Supplemental dental insurance is a great option for large families, especially those with lots of little ones. It can be tough to pay for even routine dental care when you have a lot of children in your family. Supplemental coverage provides the support you need. It’s also helpful if any of your family members experiences a dental emergency. Even something minor can cost a few hundred dollars and if two emergencies occur simultaneously, the cost can create a dire financial situation. 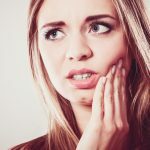 If you’re unlucky enough to have “problem teeth” or you’ve neglected your dental health for some time, you might be faced with a variety of issues and mounting dental care bills. Supplemental insurance can ease your financial burden. It’s important to research supplemental plans to make sure the coverage you need is available, but, in most cases, you’ll be paying far less for significant dental care than you would without a supplemental plan. Most senior utilize government-funded Medicare to help them with the cost of medical treatments, but it doesn’t cover dental care. Even more comprehensive union-sponsored and payroll plans only offer coverage until a certain age. Purchasing a supplemental plan allows you to get the dental care you need without needing to worry about spending too much out of pocket. 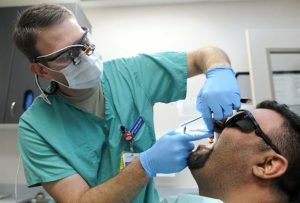 Additionally, some federal government employees opt for a supplemental dental insurance plan through their union membership or through an individual policy. These plans offer cost-savings when it comes to dental care and might be the right option for you, especially if you require more-than-routine dental care. What Dental Treatments are Covered by Supplemental Insurance? 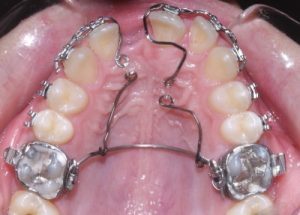 Dental care is one thing, but dealing with braces and other orthodontia issues can really break the bank. In most cases, orthodontic treatment is covered with supplemental policies. Be sure to check for information about waiting periods and others issues that might affect your policy. Some dental procedures are considered by traditional insurance coverage to be optional. 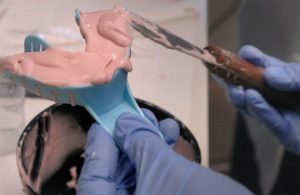 This is often the case with cosmetic procedures, such as bleaching or whitening, veneers, enamel microabrasion, and other treatments. Some standard dental care is considered “optional” if you choose an upgrade, such as white fillings instead of metal fillings. Supplemental insurance sometimes offers partial or complete coverage of cosmetic procedures. 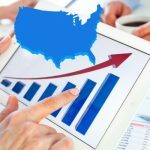 How Does Supplemental Coverage Work? Supplemental coverage works differently than standard plans and it’s important to understand this before purchasing and using a supplemental policy. Three of the most significant differences deal with waiting periods, payment of benefits, and provider networks—three things you’re likely familiar with because of your traditional dental care coverage. Unlike many traditional insurance plans, the dental healthcare provider you see can be out of your network without penalty. Actually, with supplemental plans, there are no “in network” or “out of network” providers. Your reimbursement levels are the same regardless who you see. The dental care provider might places stipulations on coverage and/or reimbursement, but the plan itself is not as strict as traditional coverage. 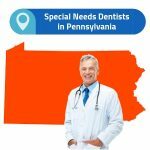 This gives you the freedom to choose your dental care provider based on your health needs and personal preference—a relief to many who are concerned about convenience or anxiety or any other issues that are aggravated by provider network requirements. Traditional dental insurance coverage pays your dentist. The only thing you’ll need to pay out-of-pocket is what you will ultimately owe. With supplemental insurance, you pay for all services (not covered by your standard plan) out-of-pocket and are then reimbursed. This means you’ll need to have the money available to pay, at least on a temporary basis. Nearly all supplemental coverage plans feature waiting periods. This means if you need services immediately you’ll still be paying out of pocket for coverage not provided by your traditional dental insurance. There are some wellness benefits that are covered immediately. So, for instance, if you have supplemental insurance to offset the cost of routine cleanings, you won’t need to wait for that coverage to kick in. However, you could face a waiting period of several months, sometimes as much as six months to a year or more, for oral surgery, orthodontia coverage, cosmetic procedures, and other non-routine treatments. If you’d like to know more about supplemental insurance coverage or you are in need of immediate care from a dentist, we can help. Use our contact form or call us toll-free at the number provided for more information.